From obscurity to greatness – with the help of an ambitious mother – Catherine the Great offers insight and historical context with drama. After eight years of research and writing, Robert K. Massie leaves nothing out. Through a dense and fact filled documentary, Massie manages to reveal the human personalities, and suddenly you are in the eighteenth century – with court deceptions, dukes and emperors trading lives for power, royals using overwhelming wealth to show favor or take it away, secret lovers, lives ruined for the wrong allegiance – a great way to learn history. Massie, who won the Putlizer for his Peter the Great, creates a suspenseful plot with the innumerable facts at his disposal, and he manages to instill humanity into the historical icons as if they were characters in a play. The result will have you attending to his words, and reading for the next installment as Catherine’s life unfolds. Nevertheless, I found myself dozing off in some sections; this is a slow methodical read and you will have to persevere to reach the end. Ensconced in posh surroundings, weighted down with jewels and silver, the teenage German princess is summoned by the Empress Elizabeth, daughter of Peter the Great, to be betrothed to the heir of the Russian throne, an immature and petulant boy. They have no choice but to marry, but it’s nine years before the marriage is consummated. In the meantime, Catherine has learned the language, converted away from German Lutheranism to Orthodox Russia, and solidified her ambition to someday be Empress. Not all is balls and frivolity. 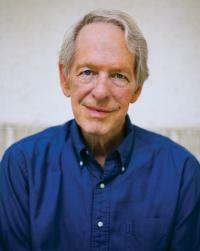 Massie describes poignant moments of despair, and illnesses that almost sever ties. In his thoroughness, he relates every toothache, court gossip, and secret – some are entertaining. 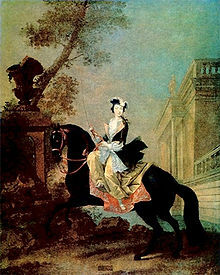 Catherine’s invention of a side-saddle she could unobtrusively switch to ride astride to avoid her mother-in-law’s criticism foreshadows Catherine’s later “triumphant entrance into the capital” riding in uniform on her horse as the new ruler. By writing her Nakaz, a suggested code of laws that condemned torture and capital punishment, and endorsed the principle of the “equality of all before the law,” Catherine hoped to lead her country away from the feudal rules of serfdom. She founded Russia’s first College of Medicine, established hospitals, and became one of the first to be inoculated against smallpox. Her collection of art gave her the reputation as “the leading prospective customer for all owners with major collections,” and she housed her holdings within magnificent architecture. Catherine was a reader, motivated by the “dullness” of her husband. She wrote in her memoirs: “When he left me, the most boring book seemed delightful.” Massie notes that she “always kept a book in her room and carried another in her pocket. To maintain the historical momentum, Massie finishes each section of Catherine’s life, and then backtracks to comment on others who influenced her. 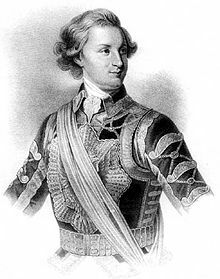 He manages to insert Voltaire’s life into the mix as well as King George of England’s problems with the “colonies.” John Paul Jones, Father of the United States Navy, has a cameo appearance in the Russian war with Turkey. This zigzagging can be distracting, but without providing the information, Massie’s portrait of Catherine would not be as complete or understandable. 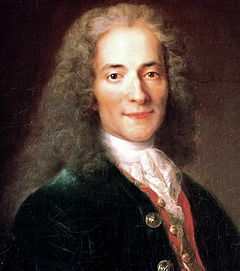 Massie ends his saga with Catherine’s progeny, specifically Paul, her son (whose father could have been either her husband Peter or a lover). Massie reminds you who everyone is and where they came from, eventually focusing on her son’s second fruitful marriage to Sophia/Maria – yielding nine grandchildren, and her favorite, Alexander. 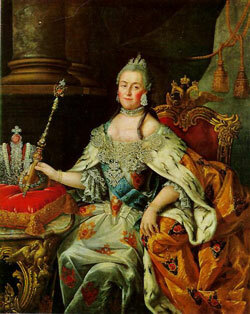 Although Catherine groomed Alexander from a young age to be her successor, his marriage never produced an heir, and the dynasty passed on to Nicholas, Alexander’s younger brother and Catherine’s youngest grandson – the one who had “escaped her strict supervision.” Not even an Empress can control everything. Massie tells Catherine’s life from her point of view and, for the most part, turns dry historical facts into a readable and entertaining story full of intrigue and messy politics. 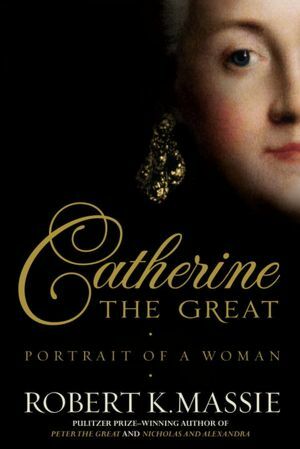 Catherine the Great: Portrait of a Woman may be one of those books that is good for you to read, as well as a good read. A magnificent history lesson – and you won’t have to take a test after digesting it. 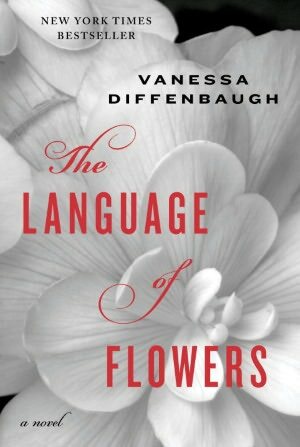 Periwinkle to inspire tender recollections, lilies of the valley to bring a return to happiness – with the hidden meaning of flowers to sooth a troubled soul, Vanessa Diffenbaugh’s The Language of Flowers is as full of enchantment as it is about foster care. Victoria, an orphan since she was abandoned as a baby, has been defiantly in and out of foster homes. At eighteen, she is “emancipated” from her last group home and sent out into the world – homeless, without an education or any prospects. Flowers are her only salvation. 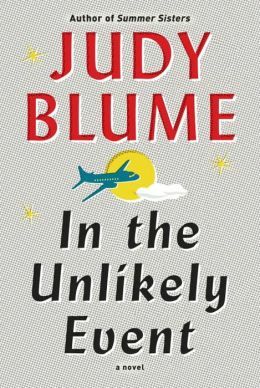 Diffenbaugh alternates chapters from Victoria’s memories of her only loving temporary home with Elizabeth, who patiently taught her about flowers and nurtured a connection that becomes her safety line – to Victoria as she tries to forge a life as an itinerate worker with a local florist. As she struggles to overcome her past as an unwanted child, shuffled through the social services system, Victoria’s sense of self is cautious, with low expectations that are repeatedly met by everyone in her life. She carries her scars into adulthood, mistrusting the possibility of friendship or love. Living one step above homelessness, Victoria manages to create a career with her knowledge of flowers; her talent for using flowers to solve problems brings her success and a new life. Diffenbaugh includes an index of flowers with an interpretation of their application; if you enjoy books that use flowers or herbs for creative therapeutic solutions, add this one to your list.